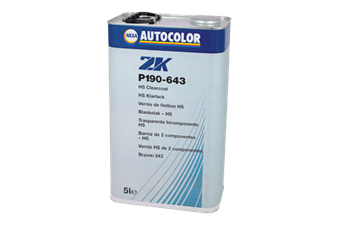 P190-643 is a high solids 2-Pack acrylic clearcoat. It offers a hard and durable finish with superb gloss and is suitable for all types of repair. When used with HS hardeners, P190-643 offers the flexibility to cope with a wide range of application conditions and temperatures.